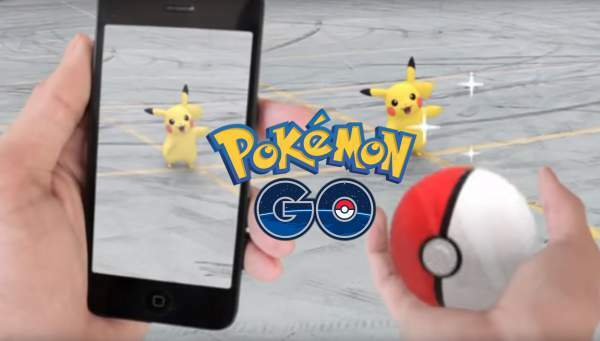 Pokemon GO Banned in China: Are you desperate to play the reality mobile game “Pokemon GO”? Chances are, you might be! But hundreds and millions of people, just like you, are eager to get their hands on it. The reason being, the game has not yet launched in many countries. Earlier this year, a middle-east nation namely ‘Iran’ has banned the “Pokemon Go” stating that it uses ‘location-based virtual reality technology’ which could purposely be used to grab sensitive personal information. Adding to that list, China is the second foremost country to ban “PokemonGO.” Do you know why? Mobile game players are happily enjoying it, but China has put an end to the enjoyment of all the nation’s enthusiasts. However, the game is free to download either from Google Play Store (for Android smartphones) and Apple’s App Store (for iPhones). Check: How To Download Pokemon GO Apk Free? Although the game “PokemonGo” is available in many countries around the world, some nations are not on that list. They are yet to witness the official launch; one example is China. It is produced by an American software development firm – Niantic Inc. That makes China’s blood run cold, and it is the only purpose of China banning the game. The are afraid to let foreigners in their land. Another publication, Android Headlines, earlier reported, “It is sad to see Chinese players missing out on “Pokemon GO” as the game uses Google service for the registration and for navigation purpose which is legally banned in China, including other Google products such as Mail, Maps, Searches and Play Store which is also restricted to use in any manner. The ban is imposed by their so-called law “Chinese Firewall.”. Under this “Chinese Firewall”, the government has enforced the ban on objectionable content which could potentially harm the nation in any manner. And now, the popular, widespread mobile game “PokemonGO” gets listed under this section. As per a report of Yibada, 350 Chinese have responded to this issue, mentioning that 60 percent of them know the name. While just 48 percent tried to play it anyhow with continuous efforts, but only 11 percent could succeed. And rest of the aspirants, around 37 %, failed to play “Pokemon GO”. Does this prohibition serve any good to the Chinese gamers? Shouldn’t they be freed to play such a game which could help people fight with depression or even stay healthy? We would love to hear from you! Go and comment below! Stay tuned for more games news! The latest reports say that it is still in dark and highly unlikely to release in China.